for the residents of Innaarsuit, a settlement on the west coast of Greenland. The iceberg was first noticed on Wednesday, July 11th, when residents awoke to see that it had made its way into the bay and become grounded on the ocean floor. The iceberg is estimated to be 100 m (330 ft) high, and poses such a threat because of the possibility of it calving, or breaking apart. The falling ice could create a tsunami large enough to destroy parts of the village. 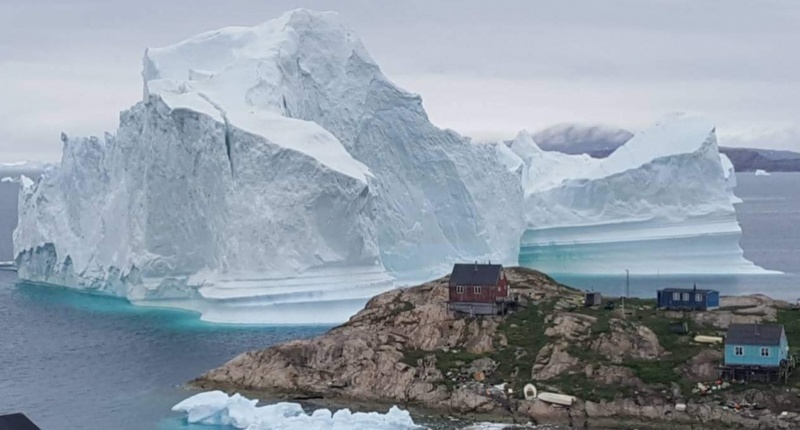 “We fear the iceberg could calve and send a flood towards the village,” Lina Davidsen of Greenland police told the Guardian. Innarsuit is a small settlement of 169 inhabitants. It lies on an island off the west coast of Greenland, north of Upernavik, which is approximately 700 km north of the Arctic Circle. Another council member, Susanne K. Eliassen, told The Guardian that although it is common for residents to see icebergs close to the shore, this one is unique: “This iceberg is the biggest we have seen. There are cracks and holes that make us fear it can calve anytime,” she said. Kenneth Elkjaer, a journalist from Greenlandic public broadcaster KNR, explained that “everybody is waiting to see what happens to the weather.” There is little that can actively be done about the iceberg except to hope that a kind wind dislodges it from its current spot and pushes it away from the village. There was a glimmer of hope on Saturday as the iceberg appeared to have moved slightly overnight. It was reported that the iceberg had moved 500-600 metres further north. As a result of this, evacuated residents are still waiting to return to their homes. But Susanne K. Eliassen reports that the villagers are not too concerned. “We feel safe, that’s for sure,” she told Sermitsiaq on Sunday afternoon. On Monday morning, there still seemed no chance that the evacuated residents of Innaarsuit could return to their homes. 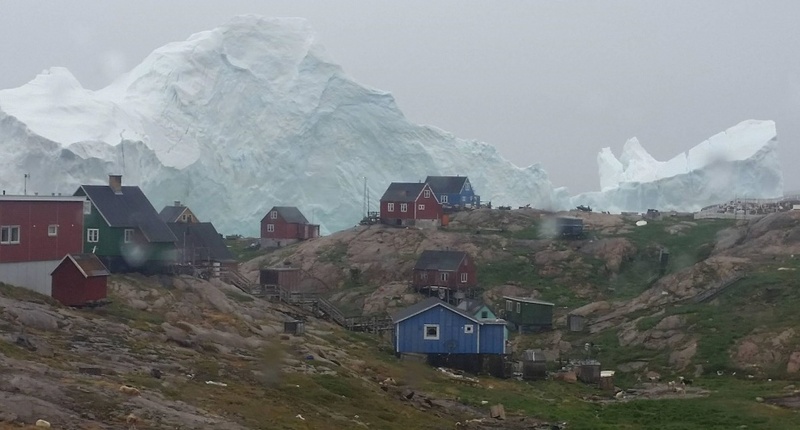 “The iceberg has not moved very much” said Greenland’s Chief of Police, Gideon Quist. However, following a risk assessment later on, which evaluated the possible waves created by the iceberg’s calving, Greenland’s police decided to reduce the danger zone. This meant that some residents were able to return to their homes. The supermarket, powerplant and fish factory continue to be closed. “We were very busy at the factory with around 25 employees, but fortunately our fish have been frozen,” said the factory manager, Hans Peter Kristensen. The latest statement from the news media Sermitsiaq was: “On Wednesday, the police, after consulting the local emergency services, decided that the danger area defined in the coastal area of Innaarsuit will be terminated Wednesday from 1 pm. The current location of the iceberg is 500-600 meters north of Innaarsuit. This means that Innaarsuit is protected from the iceberg by a wall of rock to the north”. The current threat comes just over a year after a tsunami killed four and injured 11 in Nuutgaatsiaq, an island further down the coast. A 4.1 magnitude earthquake struck 28 kilometres north of the village, and is believed to have triggered a landslide which caused the tsunami. Sermitsiaq reported that the four feared dead were inside their home in Nuugaatsiaq when waves struck and swept the structure into the ocean. Where did the iceberg come from? Greenland’s icebergs come from glaciers, which are essentially huge rivers of ice flowing out of the huge ice sheet that covers most of the country. Icebergs break off as the glaciers melt and float down through fjords into the ocean. 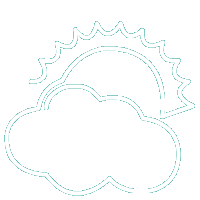 William Colgan, a researcher for the Geological Survey of Denmark and Greenland, told The Guardian that problems like this are likely to increase as temperatures warm. “Iceberg production in Greenland has been increasing in the past 100 years as climate change has become stronger,” he said. 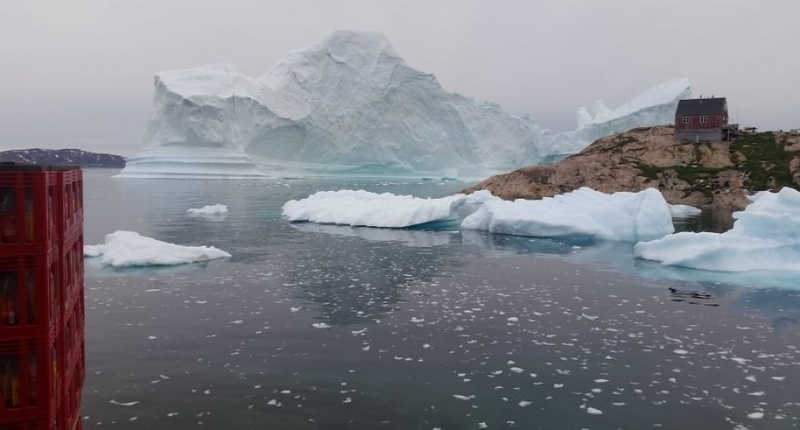 As the melting of the ice sheet is speeded up by warming global temperatures, it is likely that more and more icebergs will be produced, increasing the possibility of them becoming stranded and endangering communities. This adds to the list of dangers imposed on the Arctic by climate change. Already in the few days since the iceberg appeared, we have begun to see serious effects on the community of Innaarsuit. The village’s only supermarket is located within the threatened area, and has therefore been closed. As a result, there will likely soon be a need to ship extra supplies to the village for the residents that are still living there. Communities in Greenland are incredibly isolated, since towns and villages are not connected to each other by road, so small settlements can only be reached by sea. This makes responding to emergency situations particularly challenging here. Susanne K. Eliassen says that the fishermen are particularly affected by the presence of the iceberg. “Fishermen cannot go out and fish, and so they cannot trade, because the iceberg poses a danger if it calves,” she says. 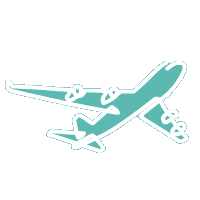 Commercial airlines are the only way for travelers to get to Greenland, served by airports in Denmark and Iceland unless you arrive with a cruise ship. 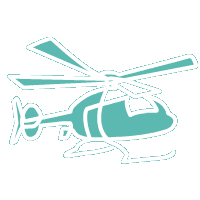 Read about boats, helicopters and planes that tie the country together in a web of sea and air connections operated by both large and small scale operators. 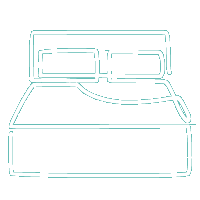 Read about accommodation possibilities in Greenland - where is it possible to stay for longer or shorter period of time. Summer is a season of the midnight sun, while winter is for dog sledding, northern lights, ski trips, and star gazing. Read more.